Kimi Raikkonen suspects “something isn’t right” with his Ferrari Formula 1 car, after struggling for speed throughout the Japanese Grand Prix weekend. But Raikkonen qualified eight tenths adrift of Alonso at Suzuka and also struggled in the wet in Sunday’s race, finishing a lapped 12th as Alonso retired on the opening lap with an electrical issue. “The whole weekend we struggled with the front like crazy. Dry, wet. It’s just completely different than before,” explained Raikkonen, who said he “couldn’t understand” this given the specification of the car had not changed since Singapore. “Hopefully we will find something that will explain what was going on. “In the dry in the first part of the lap with the new tyres it [the car] was just pushing, pushing [into understeer]. Very odd. “For two laps intermediates worked and then just grained and I had no front end. Then again [it’s the] same story. “For me something isn’t right, but until we see what’s the issue I don’t have an explanation. Let’s hope that these problems don’t overflow into next season. Perhaps it’s time for the Iceman to take some responsibility for his dismal 2014 season? All I am saying here is that Alonso did remarkably well in the same equipment, so I’m left scratching my head as to why the Iceman had and still continues to have so many conundrums with his own car. 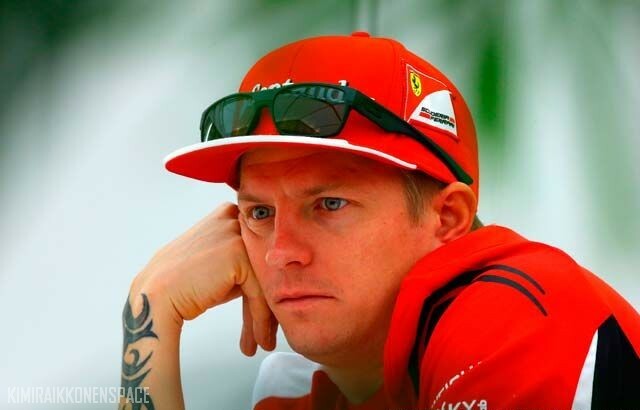 They don’t seem to add up with me, sorry to say – even though I am still a huge Kimi fan. And that in itself is all very strange. Even though he has done so poorly this year, he still has such a huge fan base, including myself. Very odd. All the best for 2015 Kimi! Previous Raikkonen: Is it ever safe?